This delightfully illustrated fairy tale for children three years and older instills appreciation for children with Down syndrome and other developmental challenges, making it a valuable aid for teaching tolerance in the home or classroom. My Thoughts: The Prince who was Just Himself is a book that is quite dear to my heart. As soon as I heard of what it is about, I wanted to review it. I was raised with my Aunt Susan, who had Down Syndrome. She was a huge part of my life when I was a child. What I remember the most about her was her unconditional love for all of us. Susan also loved holidays, Elvis and Coca-Cola. She passed away seventeen years ago at the age of 49, but she taught me many valuable life's lesson. People with Down Syndrome are a true blessing to their families and anyone who is lucky enough to know them. They shine with a beautiful radiance because they are true angels sent here to make the world a better place. Every time I see an individual with Down Syndrome, I am drawn to them, and I want to be with them. This book is a very sweet fairy tale about a Prince with Down Syndrome who conquers evil with love. Anyone who has a child or a family member with Down Syndrome can relate to this beautiful story. I love it! 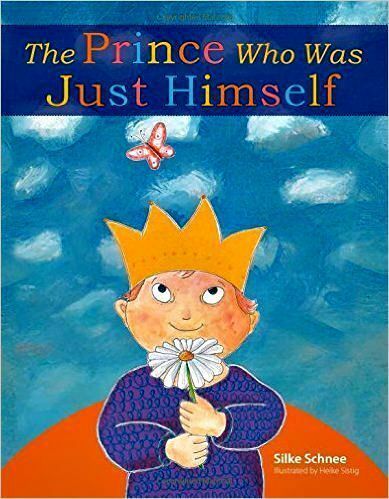 Buy The Prince Who Was Just Himself on Amazon!